Order now and we'll deliver when available. What is a haiku? It sounds like a sneeze. And isn't a lantern a light source? Actually, they are two types of ancient Japanese poetry. 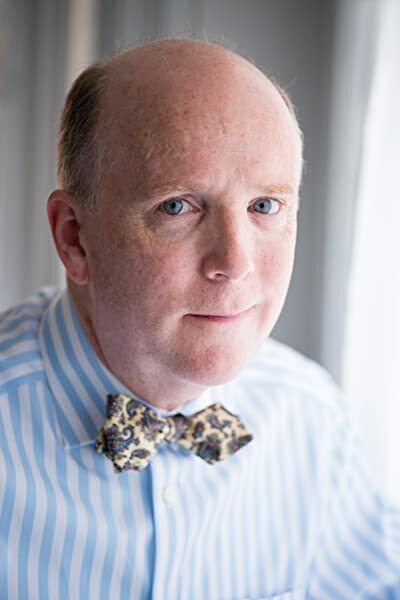 Award-winning author Brian P. Cleary explains how each form works―and shows how these little poems can contain big surprises! 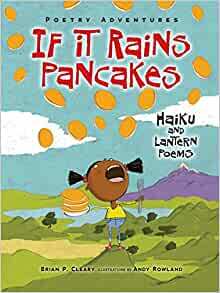 If It Rains Pancakes is packed with poems to make you chuckle, puzzle, and ponder. And when you’ve finished reading, you can try your hand at writing your own haiku and lanterns! "An engaging lantern poem and haiku how-to for young readers. 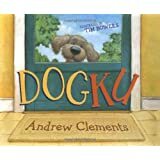 Veteran children's series author Cleary (Feet and Puppies, Thieves and Guppies: What Are Irregular Plurals? with Brian Gable, 2014, etc.) and British illustrator Rowland team up to launch the new Poetry Adventures series with a picture book demonstrating the great fun to be had with wee poems. While poets typically choose the spare haiku or concrete lantern form to communicate profound reflections on nature, here Cleary turns poetic convention on its ear by conjuring silly, sometimes-hilarious situations. Whether describing a bodily function, as in 'Yummy'―'When something's so good / you want to taste it again, / that's what burps are for'―or poking fun at the haiku form itself―'When you've written one / without enough syllables, / you add words. Football'―Cleary's light touch immediately grabs attention. Even the more contemplative lantern poems, so called because the five-line syllabic form's outline slightly resembles that of a Japanese lantern, are perfectly geared for the young: 'Hug: / a gift / that is best / when you return / it.' To further entice readers to write, Cleary provides clear descriptions of the poetics of each form alongside Rowland's vibrant, brightly hued illustrations that include a nicely ethnically diverse cast of human characters as well as zany aliens and plenty of visual wit. 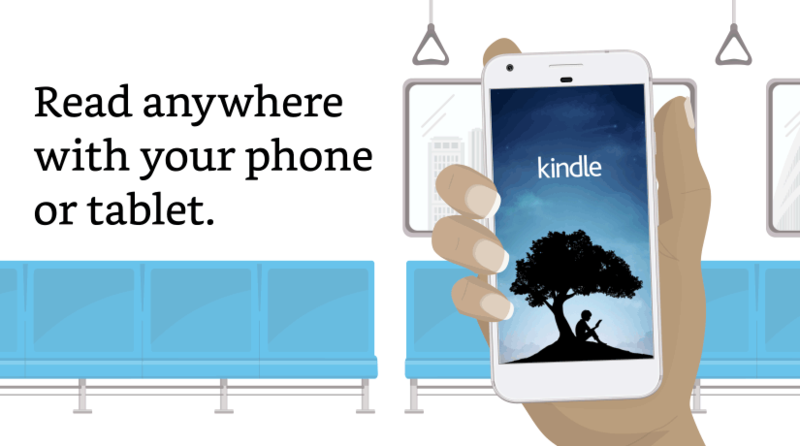 Start reading If It Rains Pancakes on your Kindle in under a minute. This is a great model to share with my third graders. I chose it for the Haiku, and will also expose them to the Lantern Poems. Loads of fun and so useful in preparing my lesson plan. Fun book to read. Inspired me to write a children's book. Great book to encourage children's interest in reading and to appreciate poetry. Anyway, it's one thing to explain what Haiku is and to give examples. 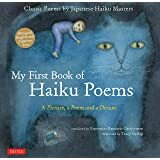 It's another thing to get a kid interested in Haiku and jazzed to try it. 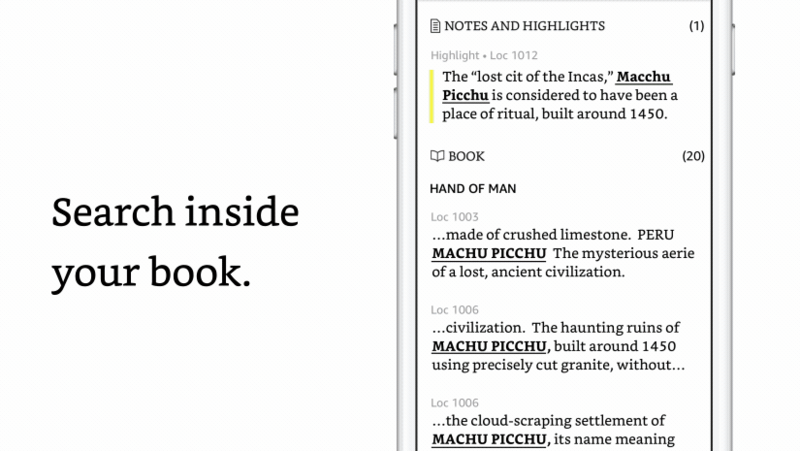 That's where this book shines. Apart from the best brief description I've seen, (of a "syllable sandwich"), the poems and illustrations in this book seem likely to catch a kid's interest and fire the imagination. Instead of cherry blossoms, water and death, (probably not big items in second grade), we get burps, football, pizza, pancakes and hugs. That strikes me as talking to the budding poets in a language that they'll get. The second section of the book, Lanterns, is a nice touch because it offers a similarly manageable alternative to Haiku, and opens up the possibility that there are even more poem forms out there, which is a solid and painless bonus. So, a fun book to read and a good book to use to start an activity - what a nice find and appealing addition to the family library. Please note that I received a free advance ecopy of this book in exchange for a candid review. 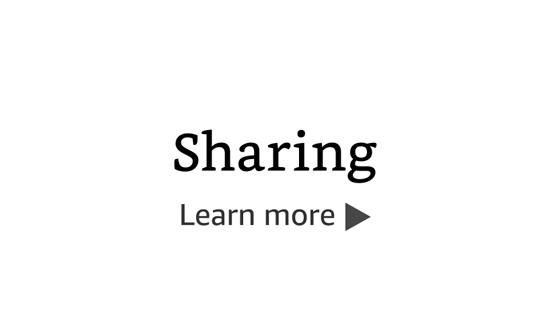 Apart from that I have no connection at all to either the author or the publisher of this book. This book tells you all about the ancient poetry forms of Haiku and the lesser known Lantern form of poetry. These short poems are deliberate, non-rhyming and pack a punch. The precise syllables that each line requires to fit the format of these poems will make you think, ponder and finally succeed in writing your own versions if you so desire. I love the fact that the author uses humour and sometimes touching scenarios of different kids in their daily life just doing what kids do best....being kids. Your child can definitely relate to what the book-kids are up to. 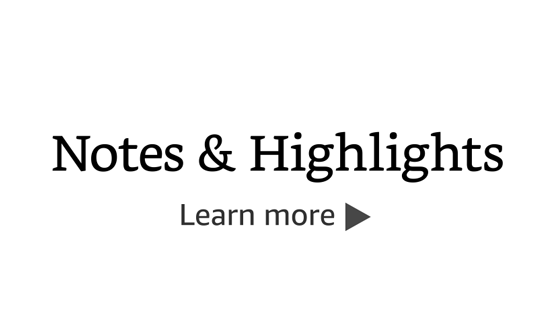 These settings make this form of poetry not only enjoyable to read but encourages the reader to find a subject he enjoys and then create a haiku or lantern poem to write too. Rowland's kid-friendly illustrations with their bright colours, expressive emotions and entertaining action just draw kids into the poetry. The author adds websites to visit and a book list that gives a more in-depth experience regarding this form of poetry at the end of the book. I loved the book. It was fun and quirky and made me laugh. I had no idea about the Japanese lantern form of poetry and now I do. You are never too old to learn something new. Thank you Brain P. Cleary for enlightening me. I am off now to create a Lantern poem because I have been inspired, and I know I too can write one if I put my mind to it. This review originally appeared on my blog, Cozy Little Book Journal, and was written with the help of my four-year-old daughter Magda. 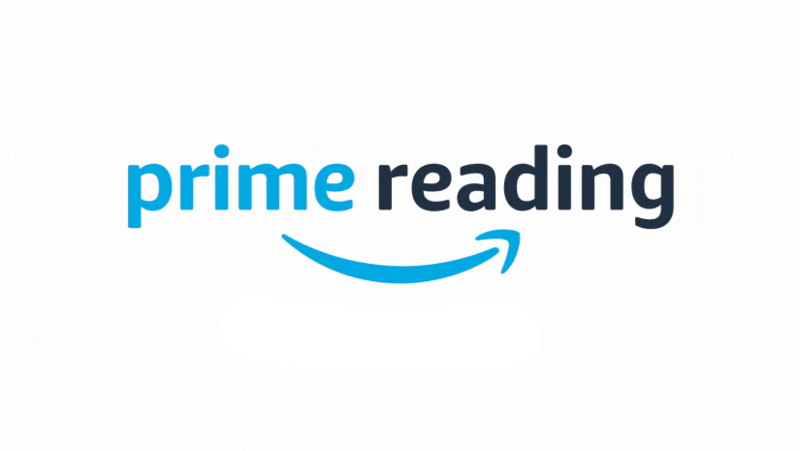 We received a digital review copy from NetGalley. As a poet and a teacher, I naturally love books that help kids develop a love of poetry. Having said that, I'll be the first to admit that it's not always easy to find poetry books for very young children. Sure, many children's books are written in verse, but most of them don't draw attention to that fact, so it's not always easy to introduce poetry as a concept to young kids. 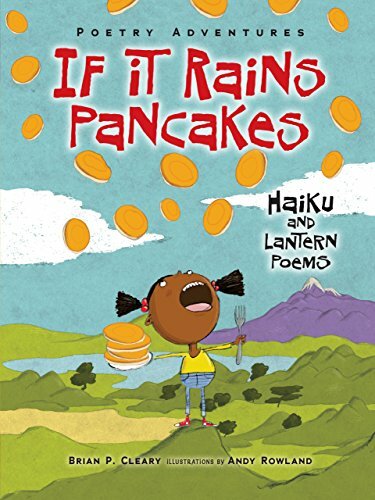 If It Rains Pancakes introduces haiku and lantern poems by giving examples with themes that children would like (like pancakes!). It may not be the most sophisticated introduction to the poetic forms, but that's kind of the point. Plus, I'll admit I wasn't familiar with lantern poems so it was a nice introduction for me as well! I liked the little poem stories. My favourite was "If It Rains Pancakes." When I saw the book, I hoped there would be one about pancakes and there was! I really like pancakes. I really enjoyed reading this short taster of the haiku and lantern poetic forms of ancient Japan. It is a great way for children to be introduced to these forms, and to poetry in general. Illustrated throughout with fun pictures by Andy Rowland, the images help bring the poems to life for children and grab their attention. The simple and relevant poems will be fun and interesting to children and adults alike. Children will be able to relate easily with the content and topic of the poems. The book is reasonably short and so can be read with them in one sitting, or maybe two, splitting the sessions between the two poetic forms. I would recommend this book as an enjoyable and informative read to share with your children. Learning whilst having fun is always the best way. This review is based on a complimentary copy of the book. National Geographic Book of Animal Poetry: 200 Poems with Photographs That Squeak, Soar, and Roar!